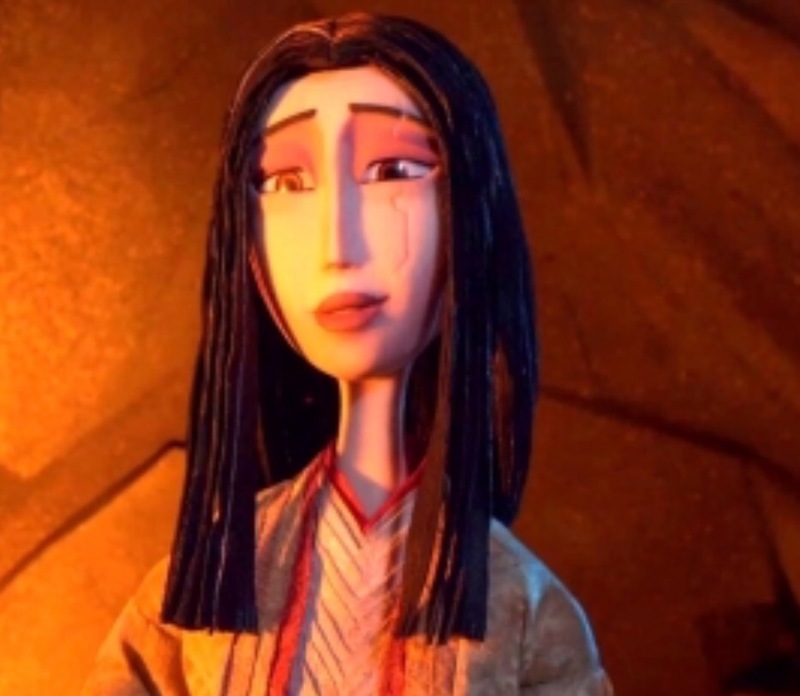 Kubo and the Two Strings is just magnificent. The previous films from American animation studio Laika, Coraline, ParaNorman and The Boxtrolls, have all been brilliant but this is probably their masterpiece. I probably still prefer Coraline for its twisted parallel reality narrative but that came from the mind of Neil Gaiman and he is an exceptional storyteller. 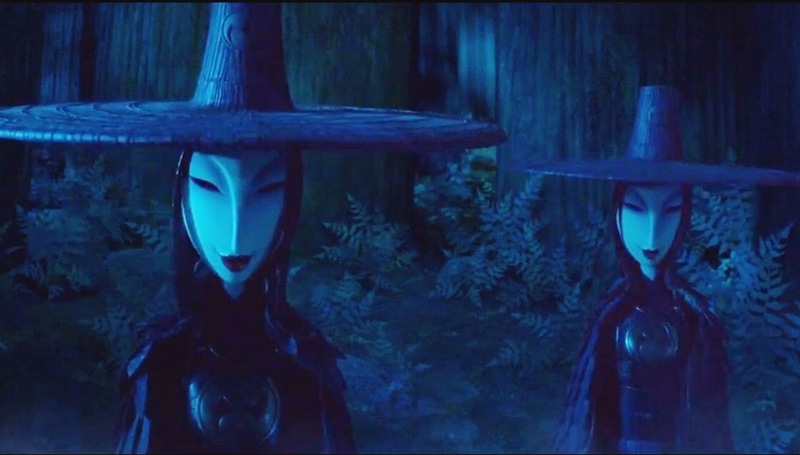 Kubo’s tale is much less complex but that actually makes this new film a more rounded work of art. The different elements of the film; plot, ideas, character and imagery, find a perfect balance coming together to make something wonderful. It may be less challenging to watch than the studio’s previous work, less complex and less quirky, but it is more beautiful. The story is in the style of ancient Japanese fables but is actually an original work. It is simple in the way such myths and legends are and as with those old folk tales telling of dragon princesses, giants turning into mountains and girls born out of bamboo canes – it doesn’t need the detail and reasoning. To explain the magic would spoil it. These types of stories were long told by storytellers travelling from town to town to entertain the crowds. This dates back to the Buddhist monks with their illustrated scrolls in the 8th Century right up to the Kamishibai who would turn up on bicycles with packs of pictures to accompany their oration. The tradition died when TV got popular in the 1950s. In Japan television was even initially known as denki (translation electrical) Kamishibai. 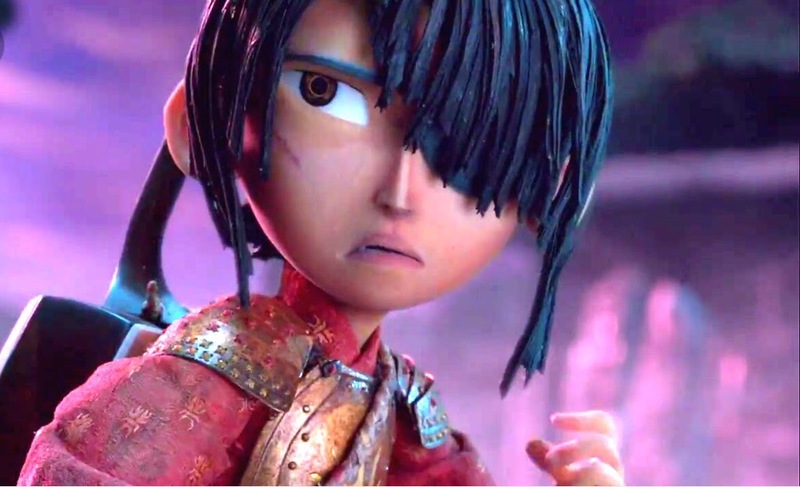 Kubo and the Two Strings picks up on this history having its hero go down to the village everyday to tell the tales he’s heard from his mother with a pad of enchanted origami paper. It turns out though that these stories of mighty samurai, malevolent moon gods, lost magical armour and huge monsters are all true and soon Kubo is on a quest of his own. Initially armed with nothing but his magical shamisen lute (not ultimately the two strings of the title) and accompanied by a sage monkey he goes off to protect his future and save his past. His adventures involve some wonderfully imaginative ideas like a ship of leaves and the garden of eyes and all the while he is dogged by a pair of sister witches. The characters are well rounded and while some of them may be fairy tale archetypes they are all engaging and likeable or hissable as needed. What really lifts this movie though is the animation. Certainly this element is there to complement the charming narrative not the other way around but it is with the visuals that the film makers have truly excelled. Like all of the studio’s previous features this is done chiefly with stop motion animation but there are great sections of it that are clearly CGI and the two mediums are blended seamlessly. At points you wonder how they did it and when you get a glimpse of how they did it in the closing credits this only impresses you more. The behind the scenes stuff on the DVD could be as captivating as the film. Kubo and the Two Strings is the best kids film we’ve had this year and is in fact one of the best films we’ve had this year. It has some great voice performances from Charlize Theron, Ralph Fiennes, Rooney Mara and Matthew McConaughey (although when he spoke I could only hear George Clooney). The story is basic but engrossing, the action is breathtaking, the replication of other cultures respectful and the artistry is excellent. It is fun, it is touching, it is unmissable. I saw this movie with an eight year old and a seven year old and they both loved it as much as I did, although possibly for less consciously layered reasons. They were both a little scared at times, there are some monsters, but it doesn’t have the same consistent creepiness as much of the studios other work. The film is rated PG so you may want to seek further advice before taking under fives. The movie does not have a female lead but Kubo’s monkey companion is a strong representation of women, albeit in simian form. Kubo’s Cher lookalike mother also figures significantly throughout and she is a strong woman mentally and emotionally even if she is no longer strong physically.